The Hotel Union Prague was built in 1906 in the Secessionist style, and underwent complete reconstruction in 1992. 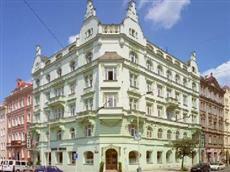 The hotel is currently a member of AHRCR and is the holder of a Category **** Czech Tourism Certificate. The hotel is equipped with central air conditioning. The HOTEL UNION Prague offers free WiFi internet connections in rooms and in the hotel bar. The various amenities provided are airport transfer, bar, children's facilities, concierge, currency exchange, doctor on call, dry cleaning, gift shop, high speed internet access, wireless internet access, laundry service, lift/elevator, lobby, non smoking rooms, pets allowed, reception, restaurant, room service, safe deposit box, secretarial services and tour desk.